Last month, the guest preacher for one of Asbury Theological Seminary’s Wednesday chapel services was none other than the chief executive of the United Methodist Church’s massive missions agency, the General Board of Global Ministries (GBGM). 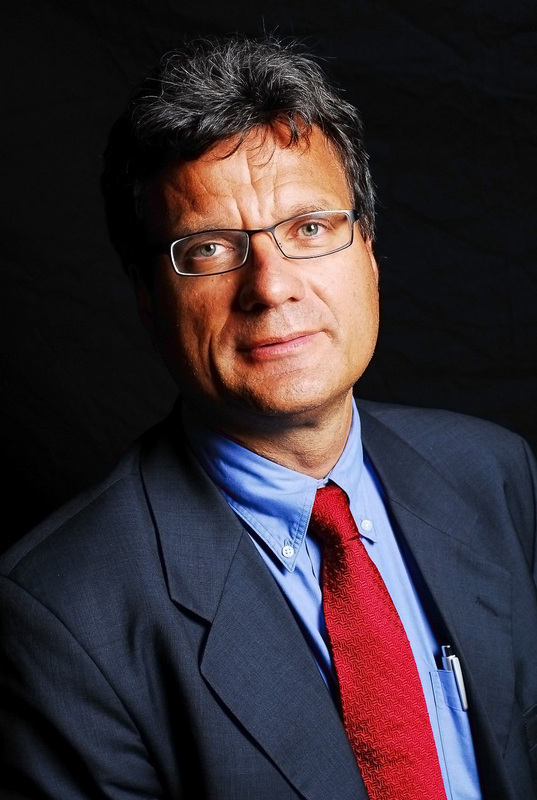 Mr. Thomas Kemper, a native of Germany, has led the missions agency since 2010. He has previously served as a missionary in Brazil for eight years. Kemper preached on an appropriate passage for his line of work, Luke 10:1-11 (in which Jesus commissioned dozens of his followers two by two for evangelistic mission). He helpfully described missionaries as being charged to take the Gospel – rather than superior technology or culture – to their mission fields. While today “[o]ur missionaries not always sent in pairs,” they are “always sent with partners.” So if people are preparing for missions, they need to consider who are their partners in mission. Noting Jesus’ warning that “there are wolves out there” (v3), Kemper noted that in many places of the world Christian missions or simply being a Christian is dangerous, such as one Islamic country, where a GBGM team delivering relief supplies was ambushed and killed in 2010. Kemper also reported the exciting development that thanks to “heaven at work” in the GBGM’s missions, house-church meetings “are springing up all over” another closed nation. While our denomination lacks a single church building, we have hundreds of house churches there. But three weeks before Kemper’s Asbury appearance, one of our native evangelists in that country was arrested. The missions chief took a moment to ask for prayer for the evangelist and his family, who are hoping to at least be able to visit him in prison. Following the lead of those early missionaries, Kemper stressed that it was “so important for missions today” for missionaries to accept others’ hospitality. He highlighted the examples set by Francis Asbury (the first American Methodist bishop) who famously owned no more personal possessions than he could carry, and John Wesley, whose ability to do his work depended on his traveling so lightly that he had to rely on the hospitality of others. However, as the passage notes, there are times when “you need to be ready to shake the dust from your feet and move on,” as difficult as that can be. Kemper warned against the tendency to “concentrate on the dust on our feet, the hurt, the failure” rather than moving on. He also made a somewhat vague, not fully explained allusion to this applying to “our Asian countries” in which the United Methodist Church no longer has a presence. In this context, he declared that mission-field countries need Christ, but not necessarily a presence of our specific denomination. The missions chief closed by exhorting his audience, consisting largely of students training for various forms of Methodist ministry, to follow the Christ who told those early evangelists that through them being sent and empowered by Him, God’s Kingdom is at the doorstep of those to whom they shared the Gospel. Asbury is an independent, evangelical school was founded in 1923 by mainline Methodist ministers strongly committed to the historic Methodist theology which by that point had already been marginalized in predecessor bodies to today’s UMC. Today, the school trains more United Methodist clergy-to-be than any seminary.